In the three months since we launched, we have received tremendous support! Each time we see another Dollar-A-Dayer join the movement we are encouraged. As we move forward with our communications, we will profile each charity we support in this report. This edition will focus on Thrive Community Youth Network, St. John’s, NL. Organizations like Thrive are doing great work in mental health and addictions, they just don’t have enough money to meet the increasing needs they face. Future newsletters will focus on CMHA’s Living Life to the Full, MHCC’s Headstrong program, and the Salvation Army’s Vancouver Harbour Light project. Stay tuned to our upcoming reports to learn more about how your dollar is making a difference. Our vision is to fund programs in every province and territory across Canada. This week, May 7-13, is the Canadian Mental Health Association’s Mental Health Week, so we will #GetLoud for mental health! F ollow us on Facebook, Twitter, and Instagram – and we’d love to have you join the conversation! for Mental Health and Addictions – and we’re proud to support their important work! Thrive provides support and services to individuals who are experiencing mental health or substance abuse issues in St. John’s and surrounding area. Programs include Street Reach , and alternative education programs for youth who have left the school system due to mental health or addiction issues. They provide outdoor adventure activities, group work, counselling and youth leadership development opportunities. 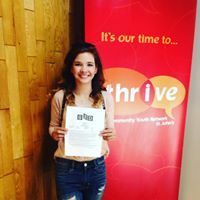 Participants of the Street Reach program have reported positive, life changing outcomes with 73% of current participants reporting that Thrive has helped provide them with basic items they require for day to day living, and that they feel more positive about their future since they’ve started coming to Thrive. 63% report that they have a plan or at least some next steps for moving forward in their life. 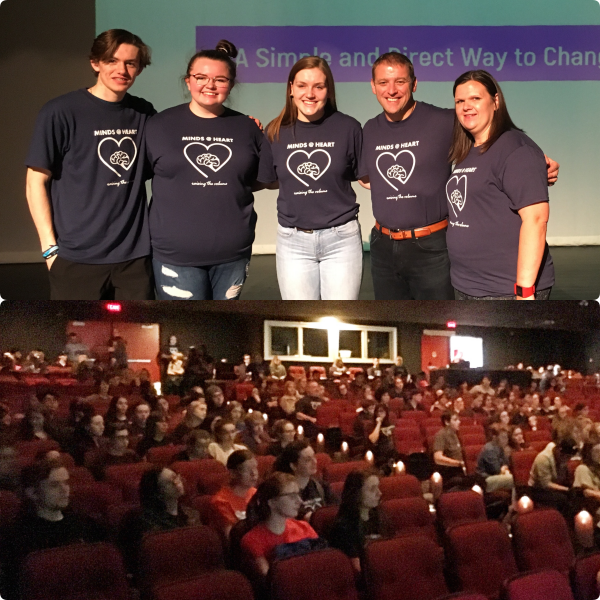 Part of Sharing the Change for Mental Health involves sharing our message! 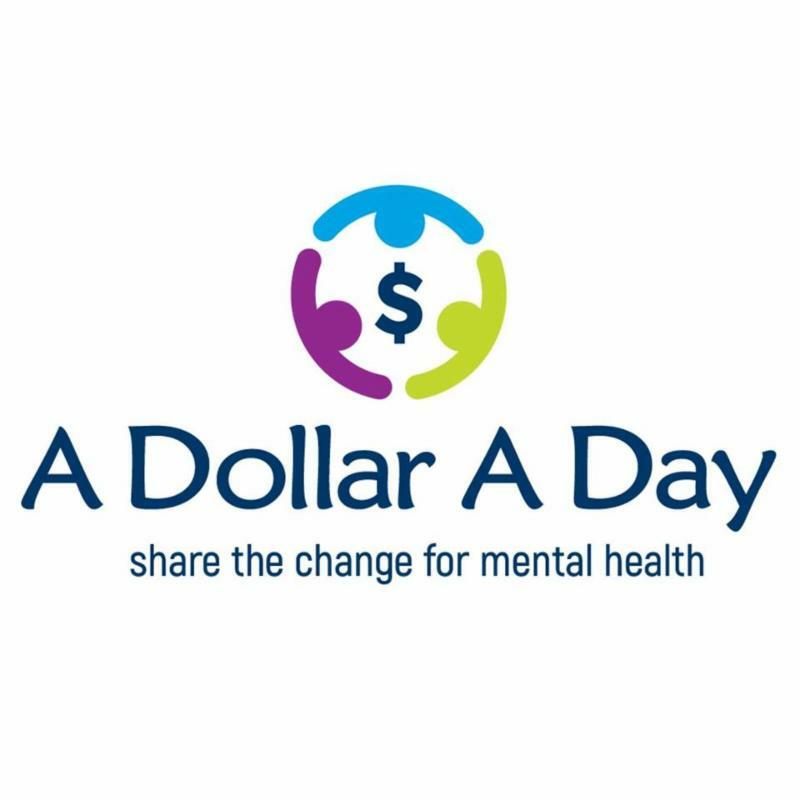 Since our launch in February, we’ve had the opportunity to speak with a number of businesses and employee groups, service organizations, and school groups about how they can become involved in the A Dollar A Day Foundation. We have received very positive responses and have been fortunate to receive generous donations from several groups. Thank you! Most recently, Dr. Furey was invited to speak to the students of Holy Heart High School in St. John’s, NL. Students raised and presented a cheque for $500.00. Thank You. Mental health affects us all – and together as equals we are going to speed up the cycle by helping more people recover more quickly. Great programs exist we just need to find the dollars to enable them to help more people.